Preventative dental care is one of the best ways to keep your kid's smile looking great and healthy for their whole lives. It's extremely important to keep primary (baby) teeth healthy because they make way for the permanent teeth to eventually come in. There is a common misconception that baby teeth don't matter because they are going to fall out anyways. That couldn’t be more wrong! At Wenatchee Valley Dental Village we focus on preventative dental care that keeps smiles healthy for all the right reasons: your children's health and happiness! Fluoride is one of the most simple, yet effective treatments at Wenatchee Valley Dental Village. Fluoride is a natural mineral that promotes healthy enamel growth on teeth, in turn assisting in the battle against cavities. 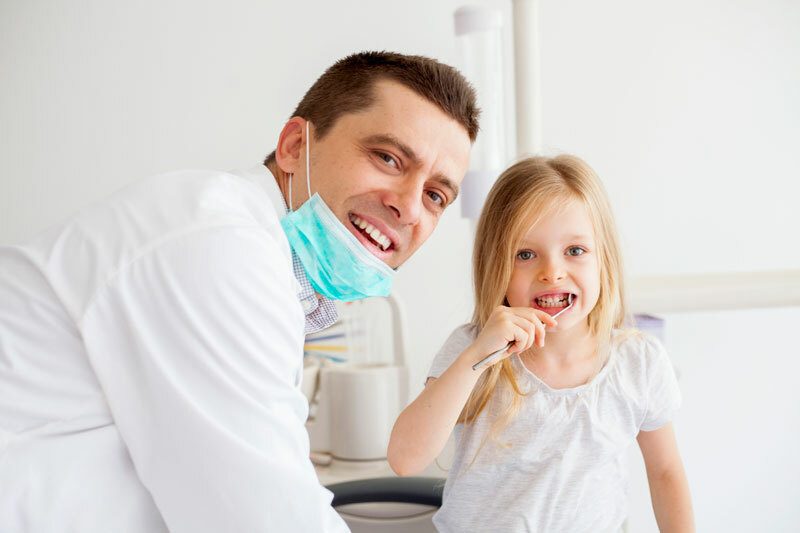 Our fluoride treatments are a much higher dosage than is available over the counter, and we’ll apply it at the end of your child’s appointment to let it rest on their teeth long after they have left the dental chair. Children are more susceptible to cavities and tooth decay. This is because they tend to eat more sugary foods throughout the day and aren’t cleaning their teeth as well as adults do. While it is important to regiment their sugary intake and show them how to brush and floss well, sometimes cavities just find their way in. To combat this, we can apply a thin layer of plastic that will coat the hard to reach molars. Sealants are one of the most effective ways to stay cavity free! Sometimes children will subconsciously grind their teeth at night and cause damage to the surfaces that are rubbing together. Since they are grinding their teeth in their sleep, you can’t simply tell them to stop! To prevent any further damage, we can fit them with a comfortable nightguard to wear while sleeping. The future of their teeth depends on it! Primary (baby) teeth should stay firmly in place until the permanent tooth erupts, pushing the baby teeth out and taking its place. If the baby tooth is missing due to injury or disease, it can cause the teeth in that area to shift out of place. This shift in the baby teeth can cause dental problems for the future permanent teeth such as crowding and crookedness. To prevent such these issues from occurring, we can place a temporary space maintainer in the gap to keep your child’s teeth in alignment until their permanent teeth come in. Some permanent teeth don’t come in until your child is 12 to 14 years old!